AdoptAClassroom.org has partnerships with more than twenty companies who sell products for teachers in the classroom through our online marketplace. Our online marketplace offers a wide assortment of products ranging from basic office supplies and visual-learning materials to books and specialized instructional tools for students of all ages. We continue to add vendor partners to better serve our teachers and their evolving needs. If you're interested in being a vendor, please contact us. Adventure To Fitness is the leading educational fitness program for kids and their families. 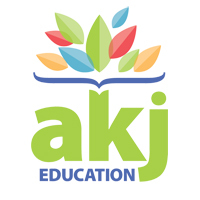 AKJ Education’s mission is to reduce the barriers—namely time and money—between you and the best quality supplemental materials for your classroom. Becker’s School Supplies is a one-stop shop for all of your early learning materials and elementary school needs. Best Buy Education is a single-source vendor for all your educational technology products and services. BoardShare is company dedicated to bringing technology into classrooms worldwide. Realizing that affordable interactive technology is difficult to find, BoardShare created a portable and affordable interactive whiteboard solution. With no associated recurring costs, BoardShare is truly a cost-effective solution that remains affordable throughout its use. Carson-Dellosa offers learning supplies, classroom decorations, and new ideas created and approved by teachers for 40 years! 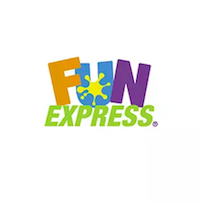 Fun Express is a leading supplier of toys, novelties, giftware and premiums. Genius Games is a STEM-based publishing company that strives to create high quality table-top games and children’s books that are both entertaining and educational. HUE products are designed to provide colourful, creative and affordable technology for teaching and learning. From furniture to elementary curriculum materials, Kaplan Early Learning is your resource for early childhood education materials and school supplies. Lakeshore Learning creates award-winning educational products for schools and families to provide a high-quality education for every child. Materials and equipment along with step by step curriculum guides and lessons make Laser Classroom’s kits easy and fun to use. 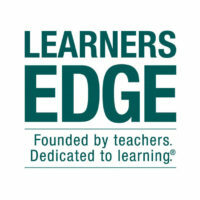 Learners Edge provides more than 120 relevant, applicable, credit-bearing continuing education courses. Over 100,000 teachers from across the United States look to Learners Edge to fulfill their continuing education needs. 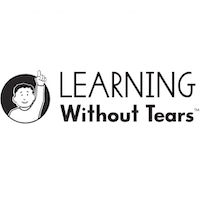 Learning A-Z is a literacy-focused PreK-6 education company. Their products blend traditional teacher-led instruction with technology-enabled resources to make teaching more effective and efficient, practice more accessible and personalized, assessment more strategic and automated, and learning more informed and proactive. 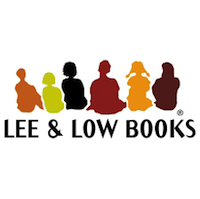 Lee & Low Books is the largest multicultural children’s book publisher in the U.S., as well as one of the few minority-owned publishing companies in the country. Every product created at Lorenz Educational Press is based on our commitment to helping teachers provide a positive educational experience for students. As the nation’s leading provider of private music lessons, instrument sales, rentals, and repairs, Music & Arts is committed to making your job easier so you can spend more time focusing on what matters: building a connection with your students and exposing them to music. Shop Office Depot for low prices on office supplies, paper, ink, toner, technology, and more. OOLY is your place for fun writing and art supplies. Spark your creativity with OOLY pens, pencils, markers, and a lot more. Really Good Stuff is the home of fun and creative classroom teacher supplies. Scholastic Classroom Magazines & Scholastic News Magazines cover the latest topics to enhance instruction in math, science, reading, social studies, and more. Save on the largest selection of school supplies and teacher supplies at School Specialty. VocabularySpellingCity.com is a K-12 game-based learning site that offers engaging vocabulary, spelling, phonics, and writing practice. West Music provides a wide range of musical instruments that appeals to professionals, parents and teachers. Wonder Workshop’s award-winning Dash & Dot robots teach kids 6 and up how to code, igniting curiosity and confidence through play while learning essential 21st century skills. Your Dollar Buys is a family-owned business focused on producing and sourcing wholesale items at a discounted price. They work directly with manufacturers in order to get you the best possible deal.